December’s new moon will be here on the 7th and with it we will be gaining some interesting energies, to say the least. If you haven’t already gotten a ritual in mind, you need to put your thoughts towards one and get things cracking. This new moon will be in Sagittarius at 15 degrees and strongly influenced by Mars and Neptune. While most of you will be irritated and stressed if you use the energies before you properly you can detox your life big time. As the energies build up over the next few days you might become more aggressive but if you remain as grounded as possible and push forward without saying something you will regret. Carrying out a ritual during this new moon will really set things in motion for the year to come. This new moon is the last one of 2018 and because of that, it is very powerful. 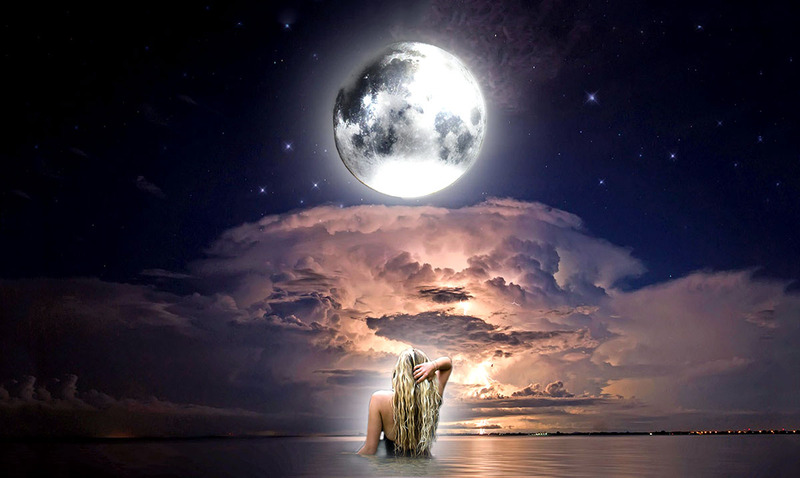 Below I am going to go over a new moon ritual that I will be doing during this new moon. While you can mix it up and make it more personal, giving it a go might benefit you greatly. Smudge the room and your body. Really provide yourself with a very relaxed and comfortable environment. Start your bath and make sure the water is a comfortable temperature, not too hot but also not too cold. Add in some Epsom salt and really go the extra mile to ensure this bath will be one that helps get rid of stress. Once you have done these things remove your clothes and clear your mind. Think of three things you are excited to carry with you and do as the year to come begins. One by one light the candles and place them close to the tub. When lighting each one think of each thing and really keep those thoughts on your mind for a moment. Now, get into the bath and lie down as best you can. Close your eyes and allow yourself to drift away. Think about everything that has been stressing you and all the people holding you back and just allow all of that to melt away. Bring it to mind and then release it. Once you have released everything you could bring to mind enjoy your bath. Meditate and using your mind’s eye really let the energies within you come forth. Use these energies to expel anything within that is bothering you still. Allow this to go on for as long as you would like and once you’ve finished your bath blow out each candle reminding yourself of the three things you thought of, to begin with. Carry those things with you as you go about your business and continue to bring them power. This new moon ritual is one that will work wonders on your life. While it might not seem like much it is more than enough to kick these energies into where they need to be. While this new moon won’t be the best one of the year it will be one we can use to our advantage. What kind of new moon rituals do you usually carry out?